The history conference, “A people of diversity: Mennonites in Canada since 1970,” held at the University of Winnipeg from Nov. 15 to 17, 2018, provided an opportunity to explore this wide variety in today’s Mennonite experience. Organized by Royden Loewen, the Chair of Mennonite Studies, the conference, with 33 presentations from across Canada, also recognized the 50th anniversary of the Mennonite Historical Society of Canada. Several presenters pointed out that, as Mennonites were moving from farms to cities and losing the German language, their identity was a rising concern. As small Mennonite Bible schools were disappearing or changing into liberal arts colleges, there was a feeling of loss. Cooperation among different kinds of Mennonites brought new organizations such as Mennonite Central Committee Canada in 1963, but cooperation also raised concerns about who Mennonites are. Among the responses to this concern for identity 50 years ago were Mennonite historical societies and a series of history books about Mennonites in Canada. A rising interest in multiculturalism across the country in the 1960s caught the interest of Mennonites who were getting more involved in the broader society, and they began applying for government grants to support their projects, including Mennonite archives, museums, memorial plaques, monuments and centennial celebrations. Other presentations reflected the wide cultural diversity of Mennonites in Canada. While traditionalist Mennonites, such as the Old Order and Old Colony, have maintained their distrust of contemporary attitudes and modern education, Mennonite churches today worship in a wide variety of languages. Attendees at the conference learned about Mennonites in Quebec, Chinese Mennonites in Vancouver, and a first-hand description of how a refugee from Laos became involved in the Mennonite church. Stephanie Phetsamay Stobbe, who was born in Laos, now works at Menno Simons College in Winnipeg. Zacharie LeClair told the story of how the conversion of some young hippies led to phenomenal growth in the French-speaking Mennonite Brethren Church in Quebec. The 1970s and ’80s were years of social activism, most often organized by the grassroots. While the farmers of Warman, Sask., prevented the building of a nuclear refinery in their community, there were a variety of other peace movements. Laureen Harder-Gissing, the Mennonite Archives of Ontario archivist, described how someone used his credit card to buy out the local department store of G.I. Joe figures before Christmas, and then returned them all in January, as a protest against war toys. Other presenters described changes in Indigenous and LGBTQ relations and the role of women in the church. 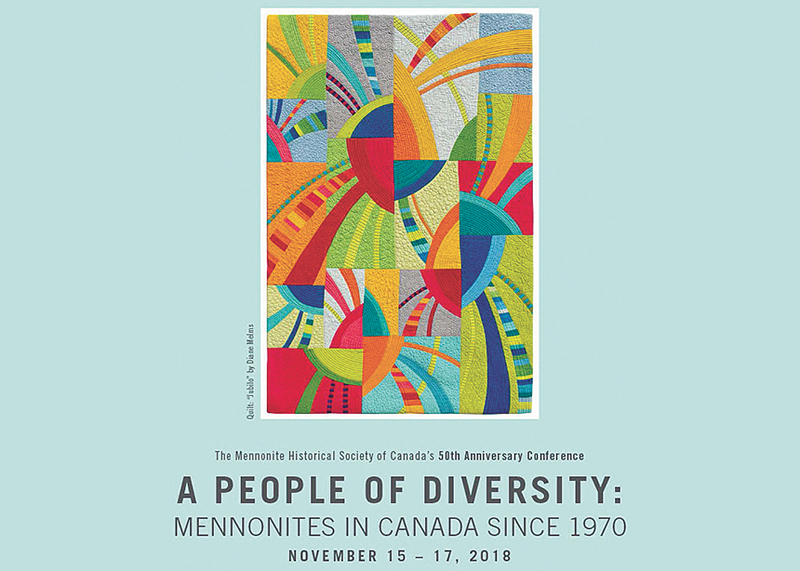 Selected, peer-reviewed papers from this conference will be published in the 2019 Journal of Mennonite Studies.